The CTA Awards Committee thanks this week’s Platinum Sponsor DG Logik for their continued support. DGLux provides you with all of the tools you need to build applications or “App Yourself” without ever writing code. Use the dockable functionality for automatic layout, positioning, and scaling of charts and components to build elaborate dashboards in minutes; or take advantage of the free positioning canvas with the freedom to create dynamic interactive applications. CUSTOMIZABLE INTERFACES – SOPHISTICATED, PERSONALIZED DASHBOARDS. BAS Cyber Risks: It’s Not Just About the Numbers. It’s a Business Case. Corporations must budget money for insurance and good legal advice. The rising Cyber Threat and the possible consequences, fully justify IT security measures. The following article by Marc Petock, Vice President of Marketing at Lynxspring, Inc., as published on AutomatedBuildings.com, provides a compelling business case. Contemporary Controls: BASremote Updated with Trending and Password Authentication: October 2013 — With the release of 3.7.0 firmware, the popular Contemporary Controls BASremote has been enhanced with a new trending feature and Password Authentication. Additionally, firmware updates are now much easier and can be completed via a webpage. Announcing The 2013 ControlTrends Awards Finalists: The ControlTrends Awards Committee thanks its world-wide community for its participation in selecting these prestigious nominees. The ControlTrends Awards proudly presents the 2013 ControlTrends Finalists. 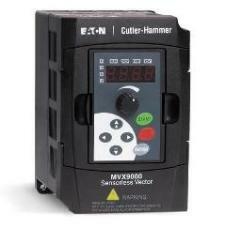 Install Honeywell MVN Valve Actuators Without Using Tools: Honeywell has introduced a very cool easy to install valve actuator, the Honeywell MVN valve actuator. With no tools needed for installation, thanks to a one handed click design, the Honeywell MVN actuator provides faster and easier installation and less commissioning time than other ball valve actuators. Transformative Wave’s CATALYST Averaged 57% Energy Savings On Existing Packaged RTUs. EasyIO’s Seattle based OEM achieves excellent Energy Report: Department of Energy Report Validates Transformative Wave’s CATALYST as a Retrofit Solution Providing on Average 57 Percent Energy Savings On Existing Packaged Rooftop Units! Ken’s TOP 5 Information Pivot Points of Week 43: 1. Join Jim Young, Howard Berger, Darrell Smith, Brad Sill and many others at CoRE Tech 2013, a unique gathering of the world’s most proactive, visionary corporate real estate, facilities, energy, sustainability, HR and IT executives. Product Review: The Johnson Controls Variable Frequency Drive: The Johnson Controls Variable Frequency Drive is nominated for the ControlTrends Awards Variable Frequency Drive of The Year for the second year in a row. What makes the Johnson Controls VFD so special? How have they improved the product offering since the 2012 ControlTrends Awards? Ken Smyers made sure to get the answers to these questions at the Johnson Controls 2013 Business Conference. Honeywell Momentum On Tour Comes to Atlanta: Honeywell’s Larry Andriunas led a spirited corps of product specialists and application experts at Stromquist Company’s Momentum On Tour. The new MOT marketing concept is Honeywell’s idea to take the product launch — in person, to their distributors, contractors, and the specifying engineers and roll the products out at the ground-level, with the additional personable measures that allow for immediate demonstration and adoption. Based on the strong customer interest and enthusiasm at the Stromquist Company today, the concept is working! More on MOT from Honeywell’s Amy Anderson. Lynxspring CyberPro — Protect Your Building & Energy Management Systems: New Cyber Security Solution that Enhances Protection of Building and Energy Management Systems Now Available. LYNX CyberPRO™ is Industry’s First Cyber Protection Solution for Building Automation, Energy Management and Building Environments. LYNX CyberPRO is the industry’s first cyber-threat protection solution designed specifically to enhance the protection of commercial building automation and energy management systems. 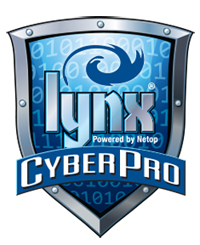 LYNX CyberPRO was developed by Lynxspring, a recognized leader in open platform technology and device-to-enterprise integration solutions for Building Automation, Energy Management and Equipment Control, in conjunction with Netop, a leader in secure remote software solutions used by half of the Fortune 100 companies. Honeywell’s JADE Economizer and New Economizer Tools: JADE Economizer and New Economizer Tools. Three new economizer tools are now available for free to download at: http:customer.honeywell.com/economizer tools. The New Savings Estimator has a new look and updated features which include: Selectable enthalpy changeover curves for using the “A, B C or D” OR JADETM economizer boundaries. Ken’s TOP 5 Information Pivot Points of Week 44: 1. Better Late Then Never: HID Global’s top 10 access control trends for 2013 TREND #6: Mobile access control is accelerating identity management’s move to the cloud, supported by new managed services. Companies have already begun outsourcing their traditional badging projects to cloud-based service providers that have the scale and resources to handle large-volume orders with tight deadlines that would otherwise be difficult for an individual credential issuer or integrator to accommodate on its own. ControlTalk NOW will continue to provide a weekly episode featuring the people, products, and the News of the Week shaping our world of controls, building automation, and the HVAC industry. <ahref=”http://traffic.libsyn.com/hvaccontroltalk/52_Episode_52__ControlTalk_Now__HVAC_and_Building_Automation_Control_News_You_Can_Use.mp3″ target=”_blank”>Click here to listen to or download the Podcast version of ControlTalk Now. Want to subscribe and listen to ControlTalk now as a Podcast? Good Info as always. If anyone needs more info on Entouch then please contact me. I will look into the Transformative Wave CATALYST 57% that is impressive. such distinctive about my difficulty. You’re wonderful! this webpage iss actually awesome. reading this webpage’s post to be updated daily. It carries pleasant data. Hi there, You have done a great job. I will certainly digg it and personally recommend to my friends. to them as well? This could be a issue with my web browser because I’ve had this happen previously. Prepared achievable knowledge, simply buy on the less prominent draw days. this has to become a generic overview. Hi, after reading this amazing post i am also happy to share my experience here with friends.